Footballer Peter Crouch is to present a new weekly podcast on BBC Radio 5 Live. Peter will be joined by BBC Radio 1’s Chris Stark and the BBC’s chief sports writer Tom Fordyce and offer them lessons in everything from dressing rooms, transfers, getting free stuff and where to sit on the team bus. In That Peter Crouch Podcast the 6ft 7in striker, known as Twitter’s funniest footballer, will lift the lid on what really happens at some of the biggest football clubs in the world. The first three episodes of That Peter Crouch Podcast will be available to download from today, Wednesday 19 September, with new instalments released weekly. 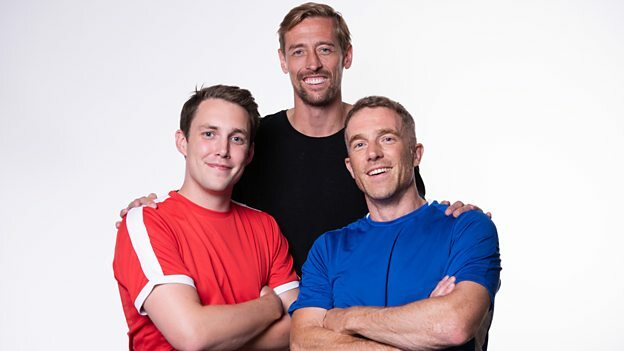 That Peter Crouch Podcast adds to BBC Radio 5 Live’s raft of podcasts which includes the Flintoff, Savage and the Ping Pong Guy, Football Daily, Tailenders, The Cut, Rugby Union Weekly, Fit & Fearless, Chequered Flag, Brexitcast and You, Me and The Big C.